I am getting excited about the animation of The Helm I'm working on with Joel Brinkerhoff. He sent me the first lip sync test last night, which was awesome, and I can't wait to see more. Back when I was a full time animation director working at Will Vinton Studios, I got to see this kind of stuff come together every day, but I've been out of the field for over fifteen years now and I forgot how fun it is to watch the characters come alive. I'm tempted to post tests of the animation here, but it feels like that would spoil the surprise. In the meanwhile, I've posted these design sketches Joel did to translate Mathew from comic book illustration to 2-D animated character. 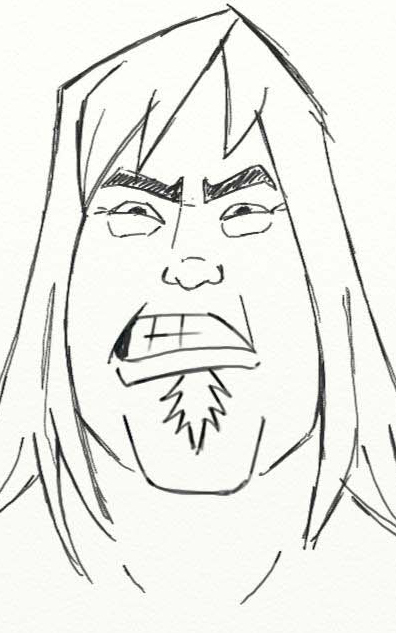 We decided early on that we shouldn't try to duplicate the awesomely detailed art of Bart Sears and Randy Elliott, but should instead take it in a more animation-friendly direction that would best capture the sense of humor of the story. Well, that's all for today. I hope to have more animation related news soon. Well! I haven't blogged anything here in quite a while, but I do have a couple of little things that might be fun to share. One is that I am working with a colleague from my old animation days (Joel Brinkerhoff) on a short animated Mathew/Helm adventure. It's about Mathew's recent trip to Mexico and what he encountered there. Joel is a brilliant animator and I very pleased to be working with him again. It will also be fun to bring Mathew and the Helm to life in animation. Another quick tidbit is that I've been talking with Randy Elliott (he did the finishes on The Helm graphic novel) and he's playing around with the possibility of doing some Helm-based illustrations with me! Randy's art is beautiful and it will be awesome to continue Mathew's adventures in a comics format. 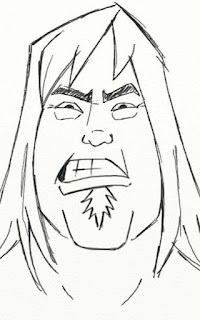 And finally, I also just launched an author page that brings together my writing work in comics, books, movies and TV. You can check it out at http://www.jimhardison.com/ if you are so inclined.